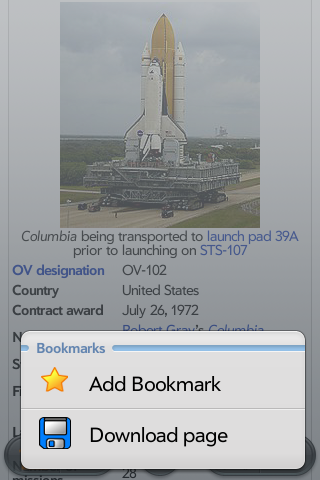 WikiXplorer allows to browse, download and share articles from Wikipedia and Wiktionay (english, spanish, german, french). No data connexion during your trip ? Download your favorite contents for offline reading! Share with your friends what’s your reading now with I.M, email, facebook app and your favorite twitter client (most twitter clients supported read below). 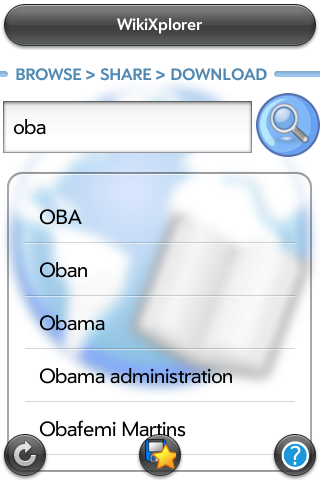 Type a few letters and let predictive search query suggestions work ! Download all data for OFFLINE READING. All articles can now be saved in PDF format. what a great app ! I’m going to be addicted to wikipedia !